Sydney can lay claim to offering some of the best paintball facilities in Australia. From indoor to outdoor centres, there are a wide variety of paintball facilities offering a great day of paintballing to both amateur and professional players alike. But there is one centre that sticks out from the crowd. 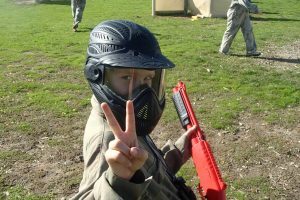 Appin Paintball, located less than an hour from Sydney’s CBD, has been issued with a 5-star rating due to their 100% safety record, world-class game zones and impeccable facilities. Appin Paintball has shown great initiative in ensuring the safety of all players by introducing full-length camouflage overalls, complete with protective neck padding, full head protection goggles and custom-designed body armour to protect the upper torso. This equipment has meant players at Appin will have a safer and more comfortable paintball experience. But we also recognise the need for adrenalin-pumping action! On a full day out at Appin you will encounter 12 – 14 action-packed paintball scenarios, including Tomb Raider, London After the Apocalypse and Tropic Thunder. 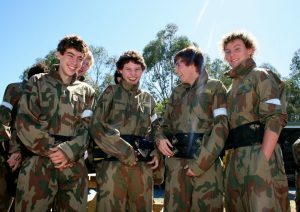 Appin Paintball offers the very best paintballing experience in Sydney. For further information on Appin Paintball, click here.